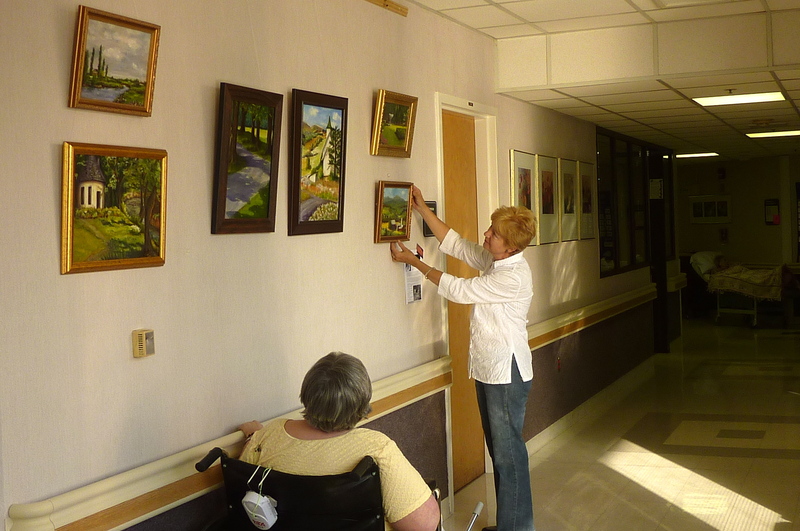 A resident watches as artist Remington Restivo finishes putting up an exhibit of her original oil paintings at LNRC. Are you a photographer, painter or art teacher? Maybe you have children who love to make art? If so, I’d like to let you know about a special opportunity to brighten lives through art! 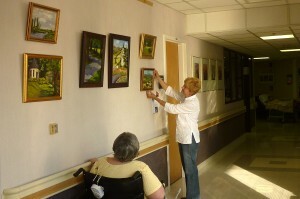 I coordinate a year-long rotating art exhibit at Loudoun Nursing & Rehabilitation Center in historic Leesburg, VA. If you live in the northern VA area and would like to be part of this collaborative community effort that lifts the hearts of shut-in residents by sharing your gifts of love and creativity, I’d love to hear from you! There’s no cost to participate, and I help you put up the artwork. Please call 571-293-1697 or send me an email. Thank you!